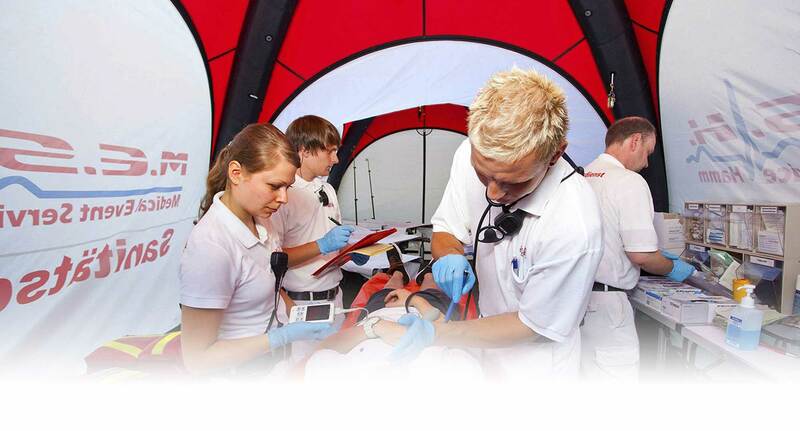 Our pneumatic tents have been developed especially for fast use in difficult conditions. They fulfill all requirements of a modern rescue equipment. In Germany alone, over a 1000 GYBE® HUMANITY tents can be connected to each other due to the standardized fusion panels. GYBE® tents are extremely versatile, adaptable and nearly unlimited expandable. GYBE® tents are characterized by a low net weight. 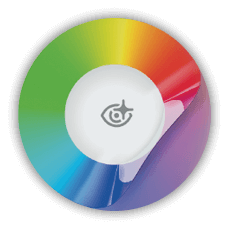 The special texture allows for a compact pack size. A 4 x 4 m tent can be carried by one person in the transportation bag to the place of action. 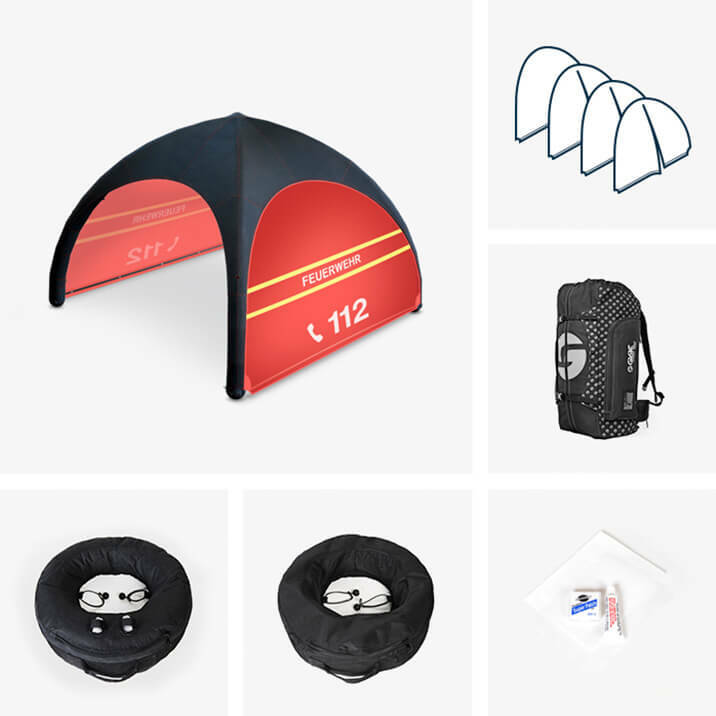 The HUMANITY TENT EMERGENCY consists totally of specifically developed material whose fabric structure, made from synthetic fibres, is certified with the fire protection certificate 1 (B1). 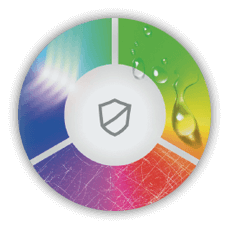 The used materials are water-repellent (according to ISO 4920, quality grade 5). 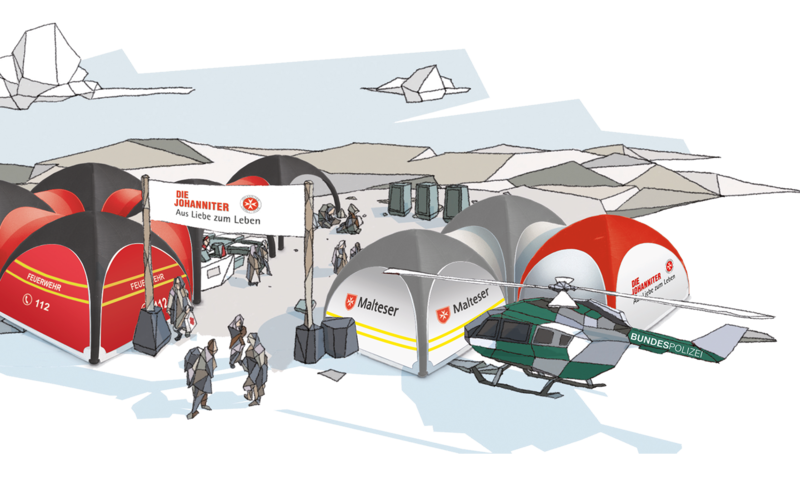 The HUMANITY TENT EMERGENCY is fitted with a One-Pump-System as standard, allowing inflation by an electronic pump. 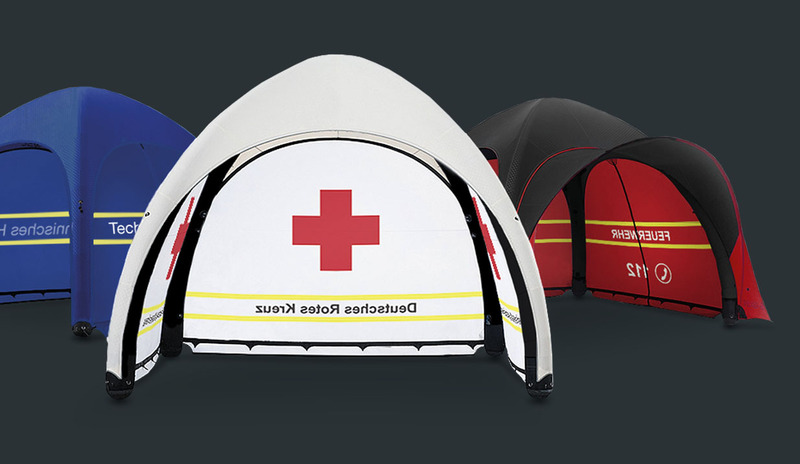 The HUMANITY TENT EMERGENCY is available in 3 different predefined versions. The HUMANITY TENT EMERGENCY HP is, unlike the HUMANITY TENT EMERGENCY, fitted with a special inlet valve for inflation by compressed air bottles and compressors. Furthermore, the integrated pressure control valve allows for maximum security when erecting. The difference with the HUMANITY TENT INDIVIDUAL is the range of material colors, this is applicable for the inflatable support structure, tent roof, side panels and the thread (according to Factsheet specifications). 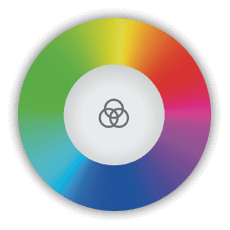 The side panel variations can also be freely selected from the 6 different versions. It is also possible to print over the entire surface of the roof and side panels. The HUMANITY TENT INDIVIDUAL HP is, unlike the HUMANITY TENT INDIVIDUAL, fitted individually with a special inlet valve for inflation by compressed air bottles and compressors. Furthermore, the integrated pressure control valve allows for maximum security when erecting. The GYBE® Humanity Tent® is not only impressive because of its remarkable design. 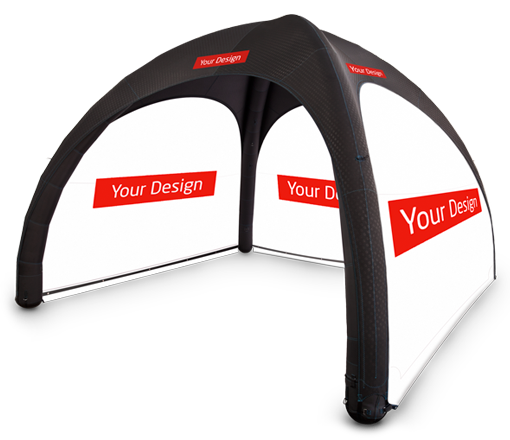 Thanks to a modern printing process the GYBE® Humanity Tent® can be printed as of now photorealistic. By means of a new refining method your tent becomes a canvas of brilliant photos with impressive sharpness, high color intensity and captivating resolution. The GYBE® Humanity Tent® therefore attracts everyone’s attention and turns into a unique advertising space. Furthermore, the new printing process makes it possible to individually color the outer panels of the Roof and Sides. The special engineering technique allows to react flexibly and fast to the circumstances on-site. 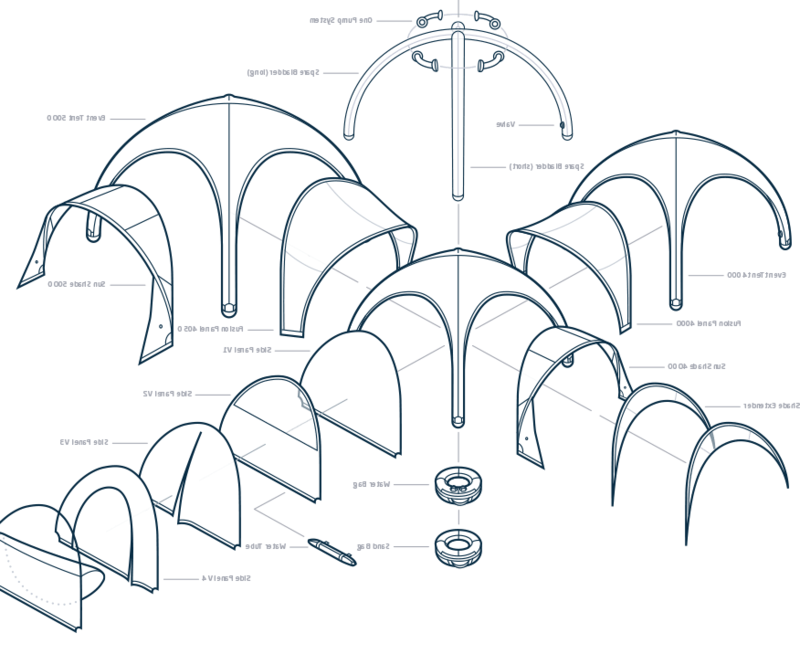 A modularly hospital, an operational tent or a whole city of tents: Tents of various sizes can be connected due to the FUSION Panels. This is great for planning the effective area as well as for the logistics. 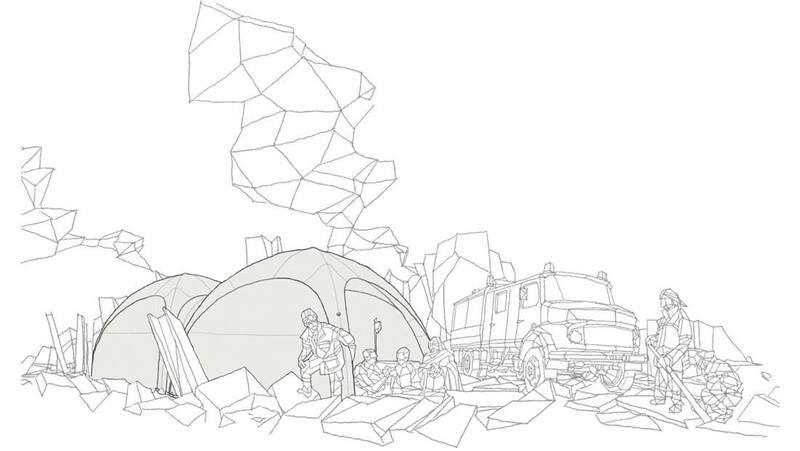 HUMANITY TENT IDIVIDUAL HP: Designs and scope of delivery analogous to INDIVIDUAL. Special feature: The Tent is equipped with an High Pressure inflation valve and safety relief valve. Our humanitarian tents create a protective area fast, for casualties, as an accommodation for the operation control, or for the placement of auxiliaries. We created a special compressed air system, which allows to set up the tent in less than 2 minutes. The pneumatic tents are made of hardly inflammable materials, all side parts are water-repellent and UV-stabilized. 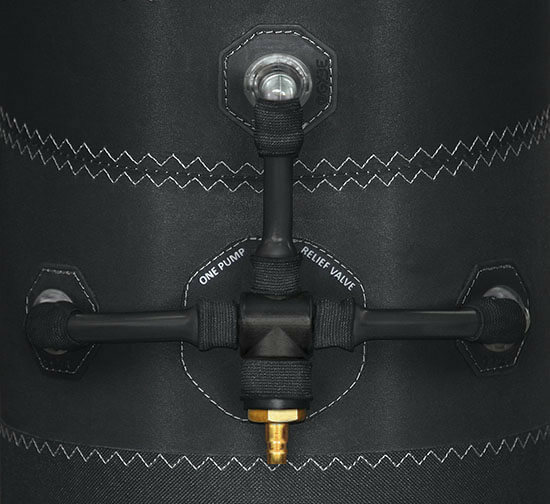 The specially developed overpressure valve guarantees for highest security during the setup of the tent. The inflatable supporting structure of the tents consists of a resilient Dacron-Shell. We use an elastic PU-foil for the hermetic interior hose. The applied materials have been aligned on resistance, demands and operational speed. Because of the integrated One-Pump-System, the tent can be inflated by using external compressed air supplies (compressed air bottles, compressors). The air is split up by a central induction valve into three air chambers by using hoses. Unlike other inflatable tents, the GYBE® humanitarian tent does not need a permanent fan. In the standard scope of delivery the tent comes with 3 continuous sidepanels and 1 sidepanel with vertical zipper. As well as a set of sandbags or waterbags for stabilization bracing ropes and one repair kit.